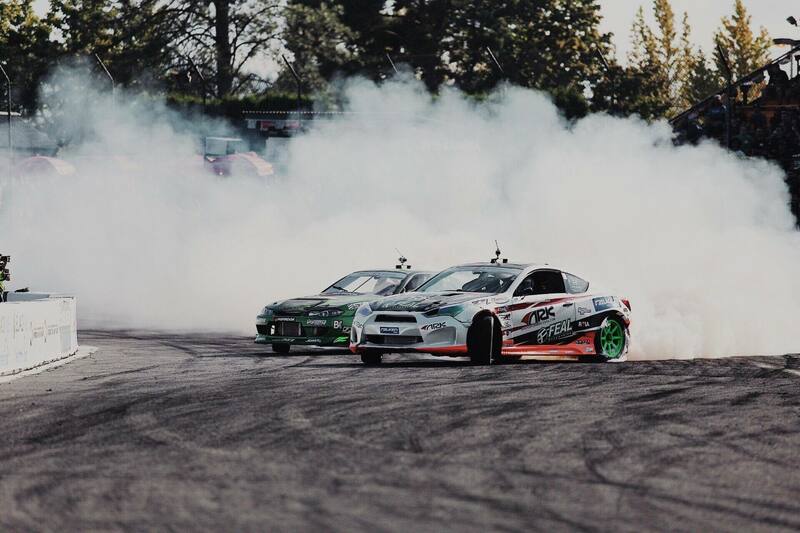 Feal Coilovers are designed with expertise backed by our success in many top-level international motorsports and through years of experience tuning various shock brands. We have spent countless hours testing and are pleased to offer you various options to fit your driving needs. 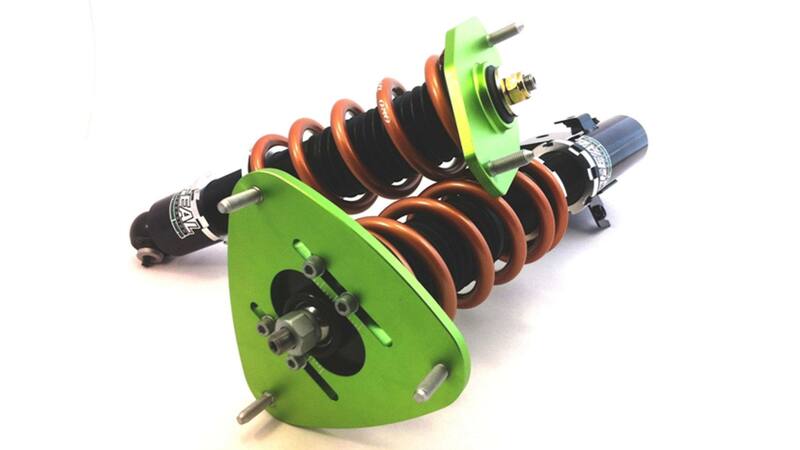 We at Feal Suspension strongly believe that our coilovers have an edge on shock design that gives you confidence and a competitive advantage where needed most. Browse our Store and check our charts below to identify the perfect coilover for you. *ANY FEAL 441 KIT CAN BE UPGRADED TO A 442 OR 443 KIT AT TIME OF PURCHASE. Mustang (Foxbody) 441 441FO-09 79-93 8k 7k na Does not include top mounts. Available with Maxmimum Motorsports Caster/Camber plates. Requires 5 lug front spindles. Drift Specific Feal 441 - SHOP NOW! 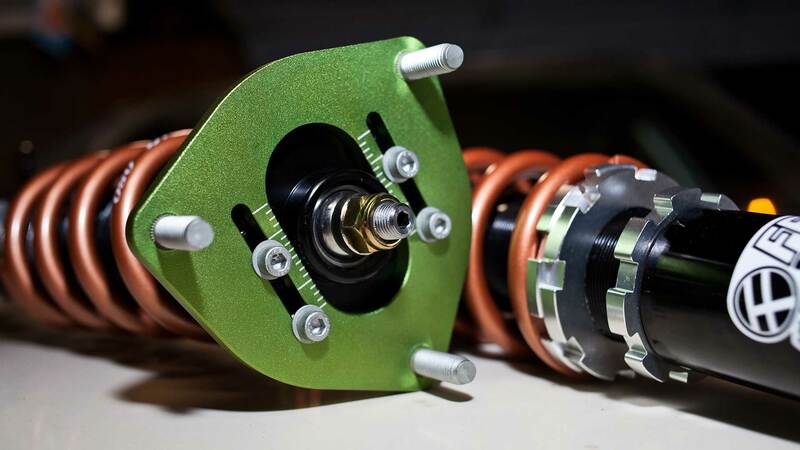 We've been building drift specific suspension since 2010 and are continuously developing and testing a coilover to meet the high demands of a competitive drift car. 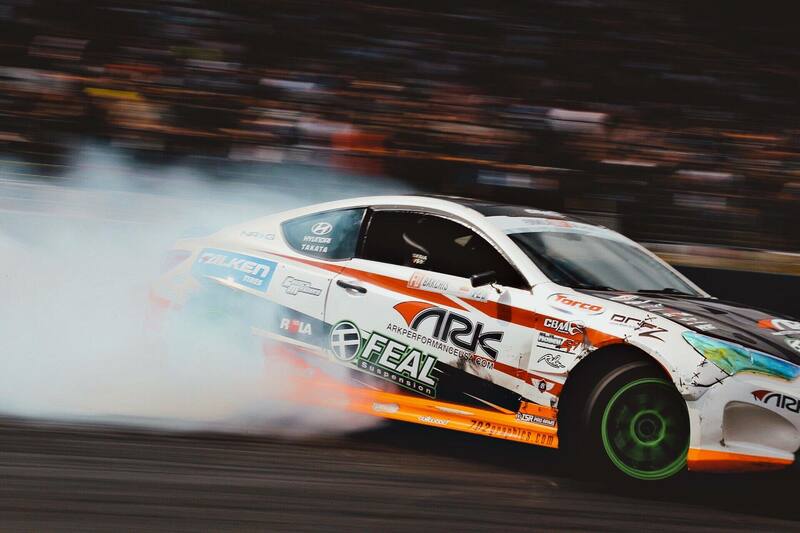 All drift specific kits are built to Formula Drift driver Aurimas "Odi" Bakchis’ specifications. This kit will allow you to blast through rough patches on tracks faster than the competition. Longer stroke cartridges with front helper springs allows for huge articulation, droop, and squat, resulting in more traction and control gain. Horsepower, grip, and speeds are continually increasing, but race tracks are not getting smoother, longer stroke shocks are needed to keep you planted without lifting off throttle. You must use front and rear drop knuckles such as Wisefab, Drfitworks, ... to fit the Pro Long Stroke Drift spec 441 kit (car will not lower enough without). Some suspension modifications may be required to utilize the full droop. All Feal 442 and 443 kits by default come with Long Stroke specs. Road Race Specific Feal 441 - SHOP NOW! The Feal 441 Road Race spec coilover kit is a completely custom hand-built kit that is ready to ship or be picked in 3-5 business days. Road Race, Autocross, or Street? Based off of your vehicle data above, we select the appropriate Natural Frequency for your suspension and mathematically calculate the optimal spring rate to yield the targeted Natural Frequency. Only Swift brand springs are used. Your shock cartridge is assembled in house from scratch with custom valving and super high viscosity index Maxima Shock Fluid. All Feal 441 Road Race kits utilize our digressive valving settings, custom damping profile, and calculated spring rate to suit your specific needs. The Feal 441 Road Race kit is great for the dedicated track car, autocross car, or your unique weekend ride! The Feal 441 Road Race spec kits are used by teams in Redline Time Attack, Global Time Attack, SCCA Autocross, Hill Climbs, NASA Road Racing, and various track day events all over the country. Max Travel Feal 441 - SHOP NOW! The Max Travel kit has about 20% more suspension stroke than most coilover kits on the market. That means that the Max Travel kit provides more suspension travel for comfort on terrain that your significant other may not appreciate. These kits are valved slightly differently than our default 441 kits to accommodate lower spring rates. Even though the spring rates are lower than our default 441 kit, they are still higher then OEM spring rates and will result in a firmer and more controlled ride then factory suspension. We have selected spring rates that will work perfect with each car model yielding the maximum ride comfort and performance. Why Feal 441 over the other brands? Drag Race Specific Feal 441 - SHOP NOW! Drag only or combined use? Based on the collected vehicle data listed above, we select the appropriate Natural Frequency for your suspension. We then mathematically calculate the optimal spring rate to yield the targeted Natural Frequency. Only Swift brand springs are used. Your shock cartridge is assembled in house from scratch with custom valving and super high viscosity index Maxima shock fluid. All Feal 441 Drag Spec kits utilize our digressive valving settings, custom damping profile, and calculated spring rate to suit your specific needs. The Feal 441 Drag Spec kit is great for the dedicated track car, or can be built for multiple uses. The Feal 441 Drag Spec kits are used by many drivers, teams, and performance shop owners. The most current drag racing record set on Feal 441 Drag Spec coilovers is by Mary from AWD Tuning. 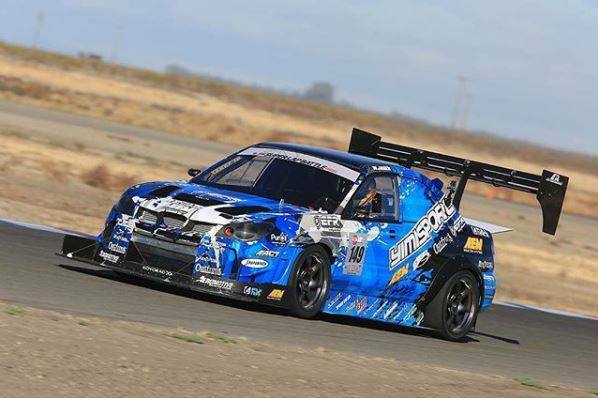 She ran a 10.666 @ 143.67 mph, landing her the title of fastest Subaru Legacy in USA. Feal 442 - SHOP NOW! The Feal 442 system has been in development for years. There are many 2-way shocks out there, but few deliver the performance you would expect. Our Feal 442 kit yields a super wide spectrum of adjustability. The independent compression adjustment adjusts force at high and low shock shaft speeds simultaneously. This allows you to easily increase or decrease traction, as well as adjust bottoming resistance. Feal 443 - SHOP NOW! 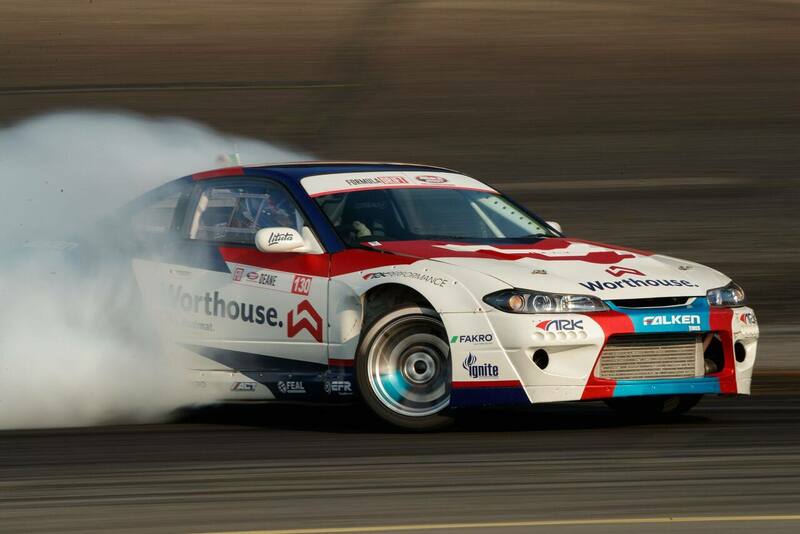 For drifting, road racing, auto x, and other tarmac motorsport applications. The Feal Eyelet Shocks are based on the Feal 441 platform and are designed for motorsports applications that require heim-mounted suspension. Feal Eyelet Shocks allow for a wide range of ride height adjustability, unlike many other eyelet shocks. Dyno plots are recipes of how to make dampers perform to a customer's liking, and we have become very aware of how important dyno data can be. We even have a comprehensive library of dyno plots and analysis from testing competitors’ dampers.NOTE: We no longer share dyno results for each particular model. Why?! Dyno results for dampers show the damping rate and damping curve, which is a quantified output that can be copied. This means that our competitors can design a piston and build a shim stack to mimic our damping profile for any given application we share a dyno plot for. We have spent many years developing and testing damping profiles that meet the needs of our clients better than our competition. This is why reviews of our dampers and even our revalve service for other dampers are so highly rated. Dyno plots for dampers are a different from other dyno data. For example, engine dyno data shows how early hp levels are achieved, maximum power/torque, ..., outputs that are not indicative of the clearances the engine is assembled with, or what timing table parameters a tuner has used.